Every so often you find a joint that blows all of your expectations for a particular dish out of the water. Zundo-ya is one of those places. 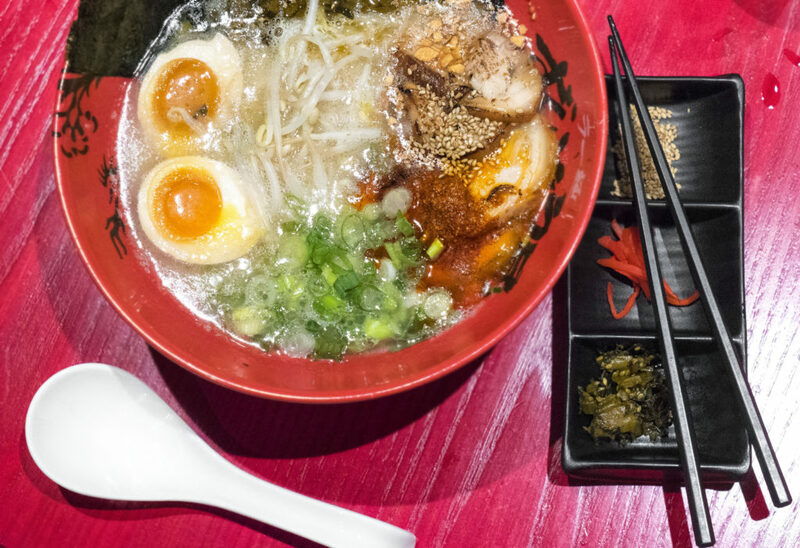 The folks at Tabelog just held a small tasting event at Zundo-ya’s first US location, nestled in the crux between Union Square and the East Village – literally right around the corner from Ippudo. 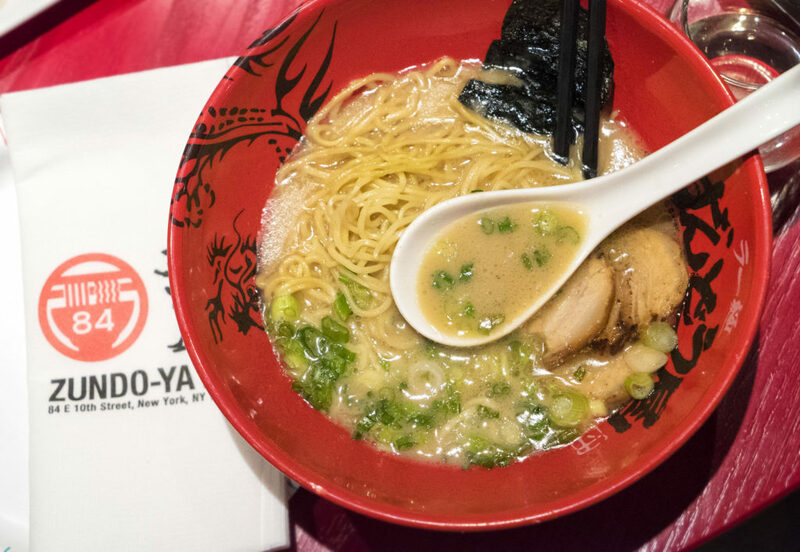 While Ippudo is great, and may be the spot that’s on more peoples’ ramen radar, Zundo-ya is where all those people should actually be going instead. I’m dead serious. This is my new favorite ramen spot. 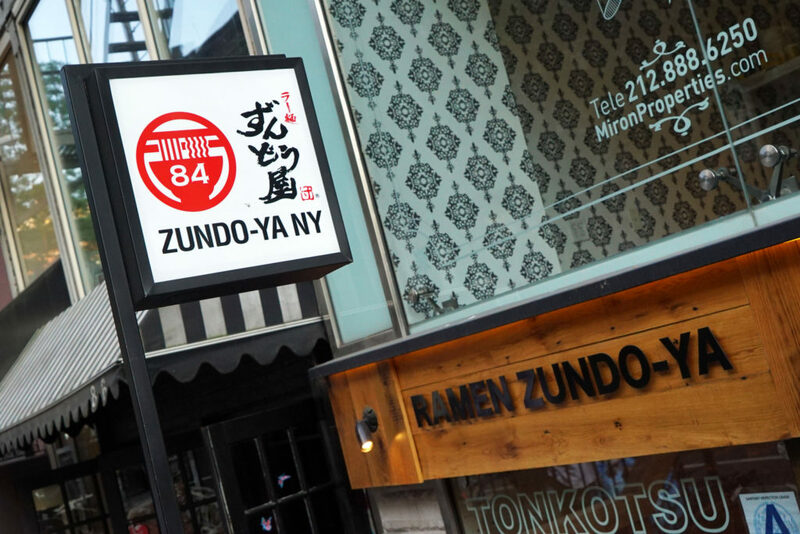 Zundo-ya has about 20 locations in Japan, but what makes them stand out here in the crowded NYC ramenscape is the concept of bowl customization. Very few places feature anything that has been truly customized by the diner outside of toppings and add-ons. 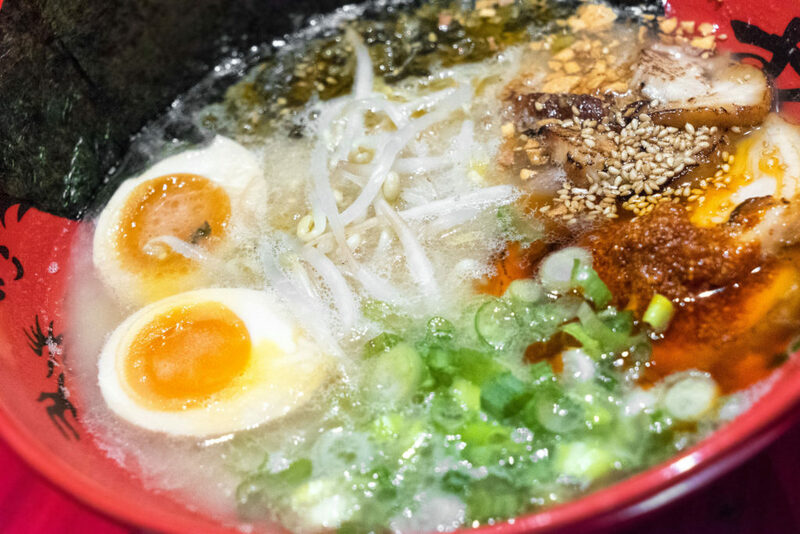 Here, you can also designate how intense or rich you’d like your broth (thickness, pork fat flavor, etc) and which kind of noodle you prefer (thin, straight; thick, wavy). 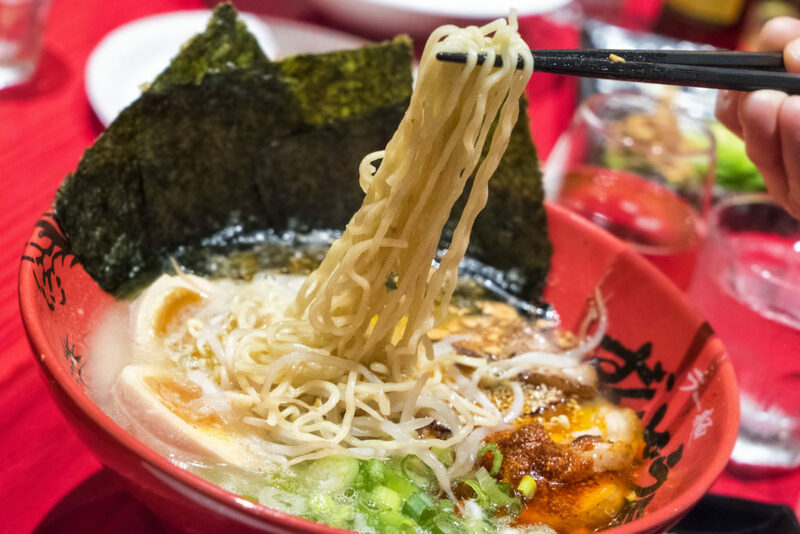 While many joints may occasionally allow you to swap out a noodle style from what’s listed on the menu, that first metric – broth intensity/richness – is absolutely key for true ramen aficionados. 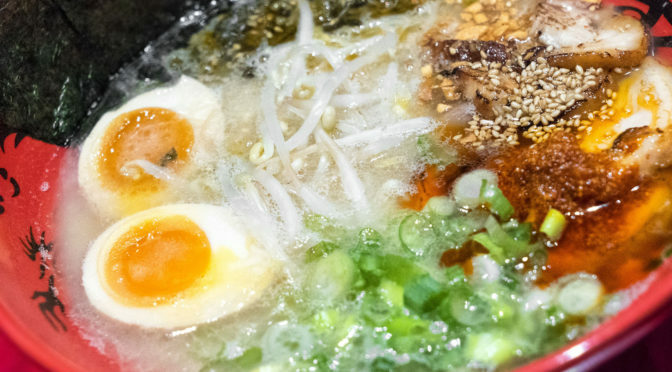 All too often I order a bowl of tonkotsu ramen and what comes to the table is a watered down, thin, weak-flavored bowl of dish water. That’s pure crap, especially these days, when we seem to be regularly paying upwards of $15 for a bowl. That problem is solved here. Simply order your broth rich or super rich. I went all-in, with the Zenbunose ramen, which is a tonkotsu ramen with all of the available toppings. I ordered this thing super rich, and with thick wavy noodles. While $18 is a bit steep for ramen, I feel this bowl is truly satisfying and fulfilling. It comes with an extra helping of super tender roasted and caramelized chashu pork, a full and deliciously cured soft boiled egg, scallions, bean sprouts, garlic chips, dried seaweed and a blob of spicy paste. The base level version of this, without all the extras, is just $13. That’s not bad at all. The broth was thick, almost to the level of a velvety chowder or cream-based soup in texture. 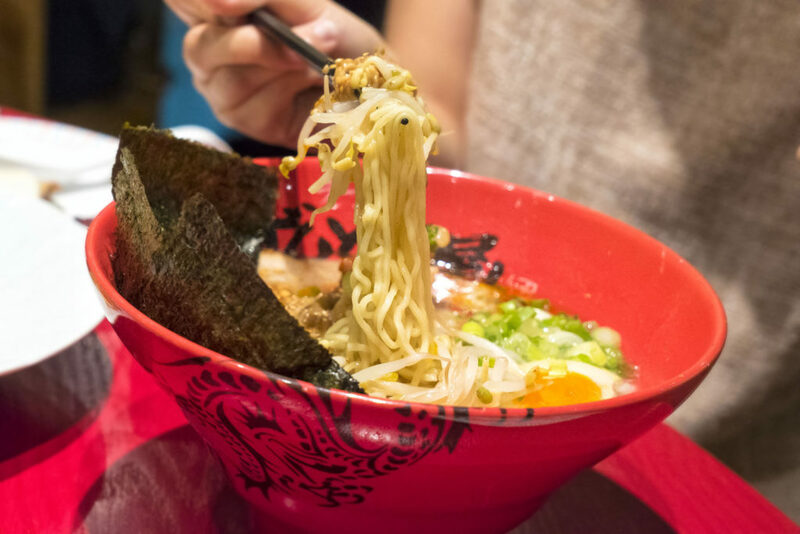 The fat and salt content wasn’t overwhelming, but it was most certainly present, which is exactly what I want from my ramen. This stuff’ll make you sweat, and it’ll make your heart rate spike, but it is so worth it. The noodles were perfectly cooked and had a good stretch/snap to them as well. 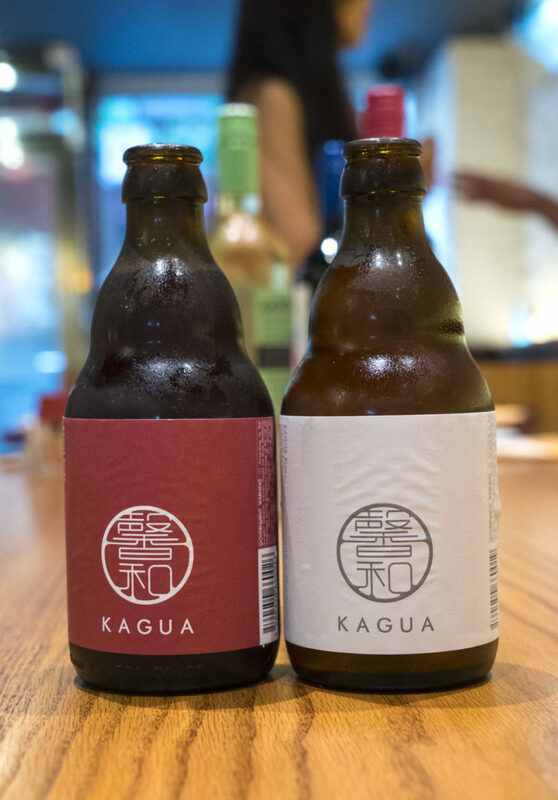 I cooled off with these two excellent Kagua beers. One was darker, less filtered and had a slightly hoppy flavor (the red label), while the other was light, easy to drink and a little less cloudy (white label). 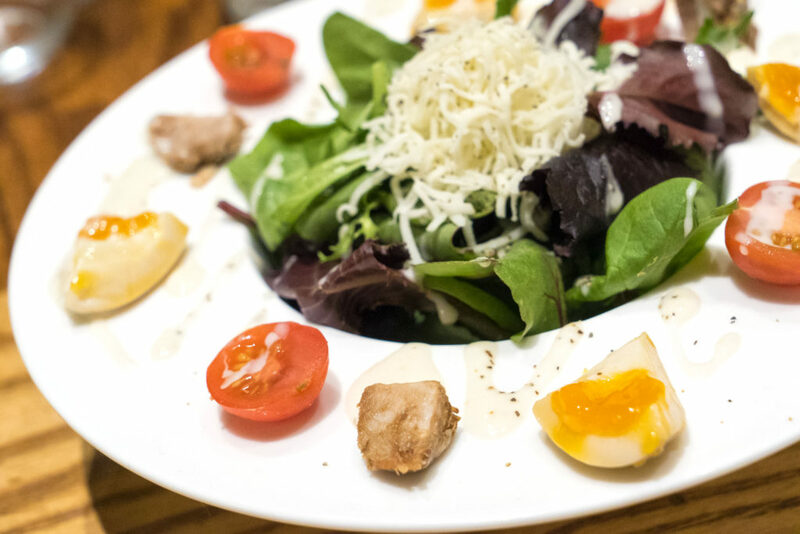 Not only is the ramen great, but this joint also serves up some fantastic sides and salads. This first one comes with bits of pork and cured egg on the edge of the bowl. 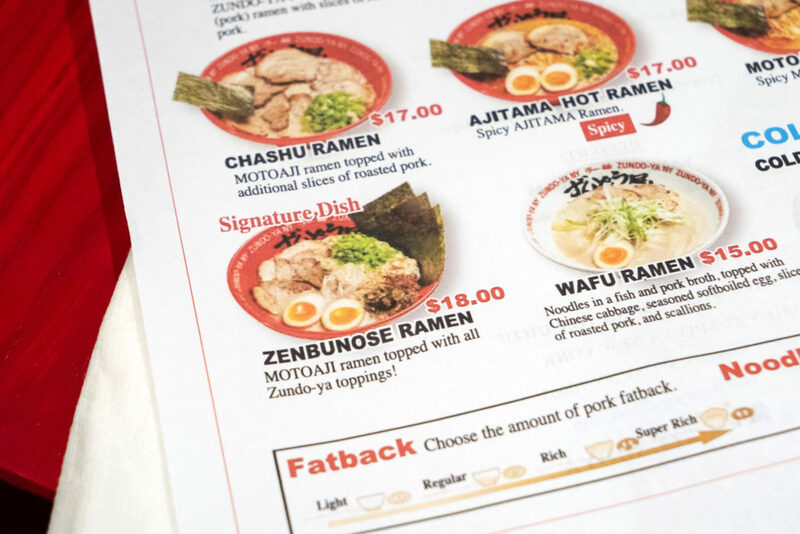 Really nice touch, and a smart use of ingredients that overlap with the contents of the ramen. 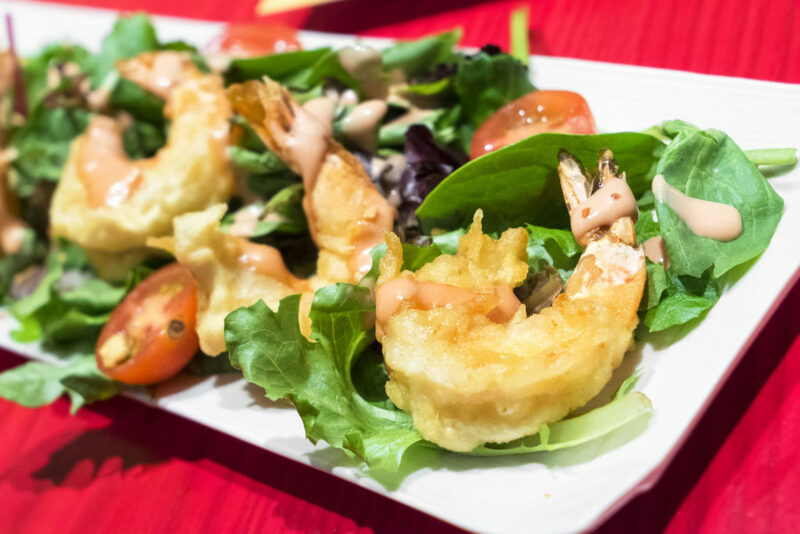 The spicy fried shrimp salad was highly addictive too. The shrimp were nicely cooked with a light and crunchy batter. And take a look at these buns! 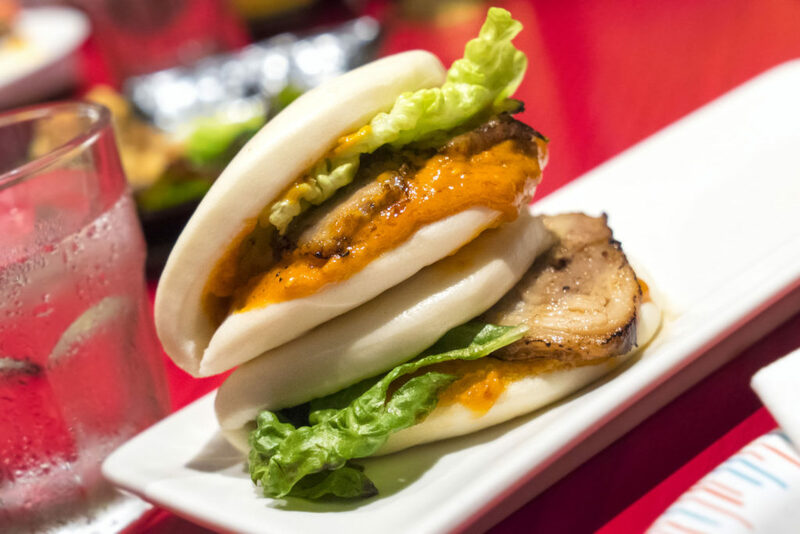 These are the very delicious spicy ra-yu pork belly buns, but they also offer a sweeter teriyaki style as well (also good). I’m usually not psyched about bun items in general, but these were pretty good because there was enough meat stuffed inside to balance out the bun with a good ratio. 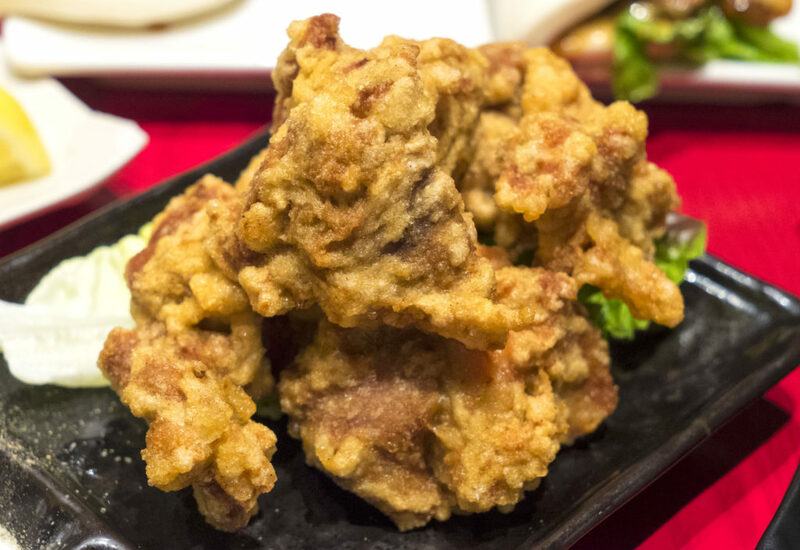 The stand out starter for me, though, was the karaage; crispy fried chicken. This chicken is so tender that it’ll make you want to stab someone. And what happens when you dip these babies into the little blob of spicy mayo and dry seasonings that come with an order or karaage? Nothing short of an intense flavor explosion in your pie-hole of a mouth. 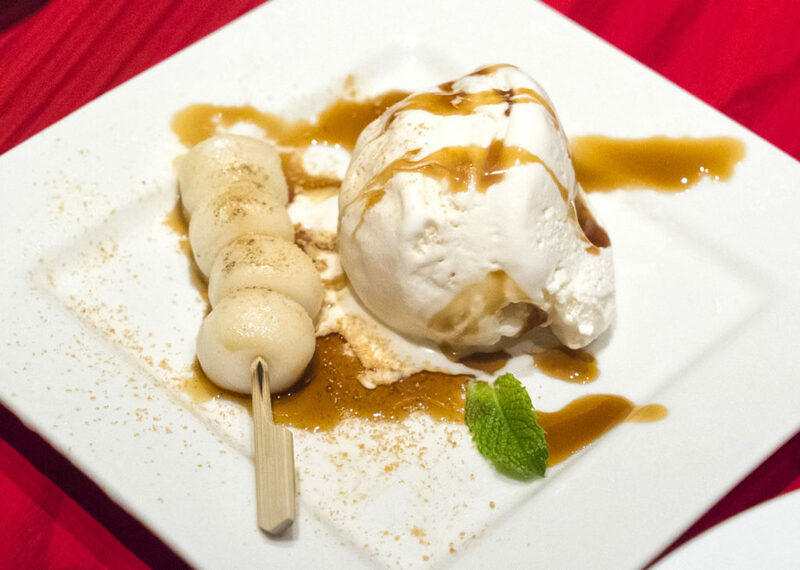 We even tried a little bit of dessert. This was ice cream with a soft mochi-like rice cake. The ice cream tasted like a really good Carvel soft serve vanilla, which is high compliments since that is my favorite thing on the planet for dessert. I’m really excited about this place. And so is Tabelog. And Zundo-ya is excited that us blogger fools are excited as well; so much so that they’re giving out free gyoza (fried dumplings) to anyone who comes in between now and August 15th, 2016 and mentions “Tabelog” when ordering. Do it. I know I’ll definitely be back, especially given the fact that, unlike so many other NYC ramen joints, this place actually has elbow room and a comfortable amount of dining space.